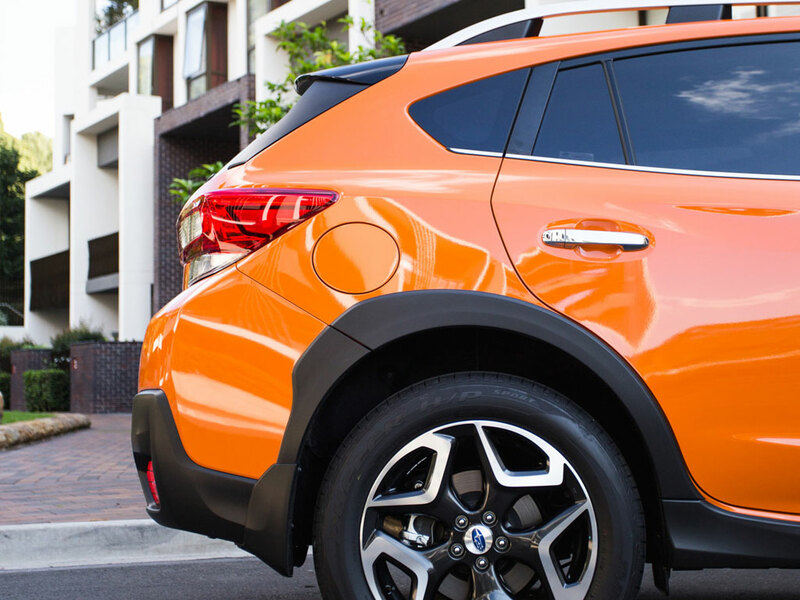 Introducing the Subaru XV, Australia’s genuine compact SUV that delivers blockbuster entertainment and show-stopping value. The feel-good drive of the year, the Subaru XV has been completely reimagined for a smoother and roomier ride while delivering gripping performance on the road. Superb production design brings more tech, more efficiency and more fun than ever before. The Subaru XV stars more of your favourite features as standard, including our legendary Symmetrical All-Wheel Drive, advanced technology for increased fuel efficiency, a super large touchscreen, X-Mode and more. Experience it yourself, today. 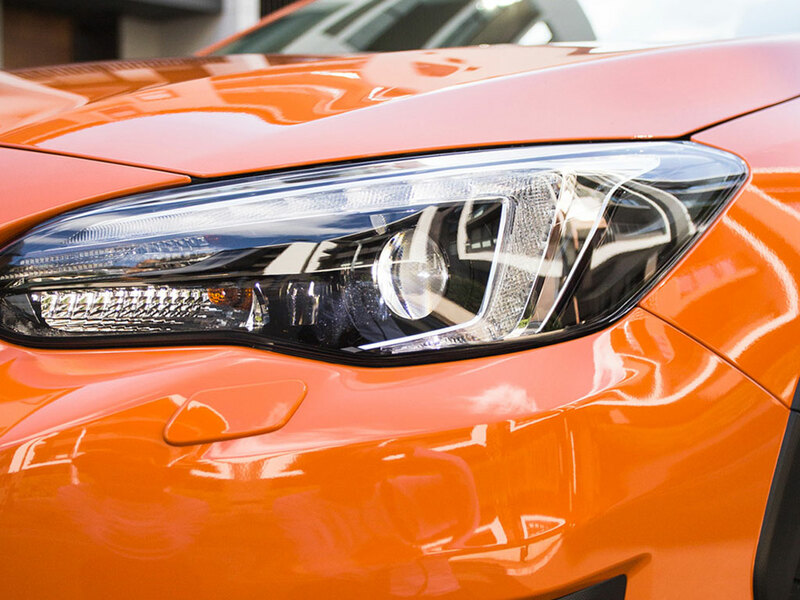 Book a test drive and prepare to be starstruck. Which Subaru XV will you do? 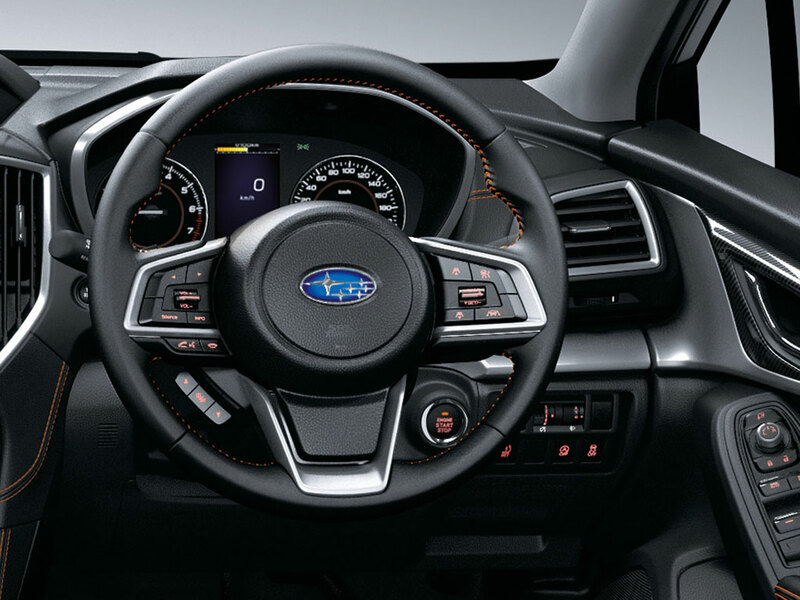 The Subaru XV takes driving technology where it’s never been before with advanced features like Subaru’s world-class EyeSight® Driver Assist system that's like an extra pair of eyes to watch the road ahead. 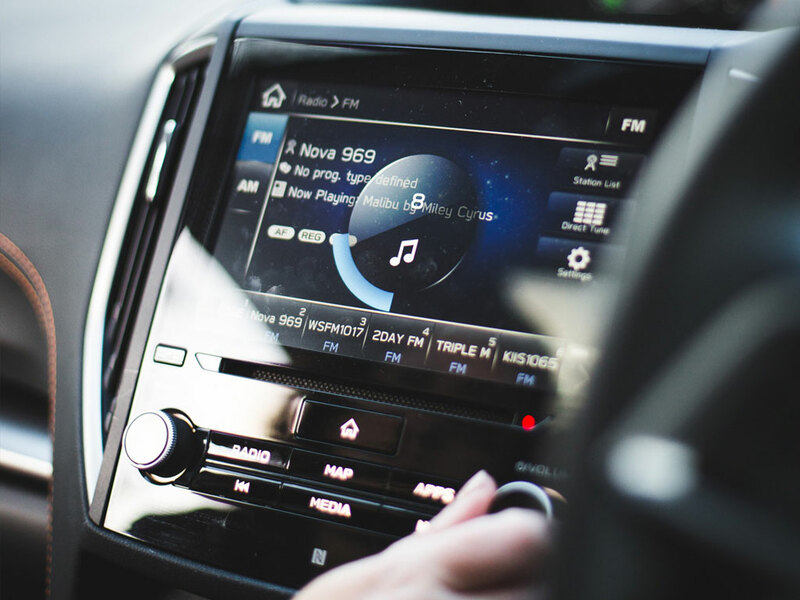 Be entertained in the cabin with a large and intuitive touchscreen infotainment system that can connect seamlessly to your smartphone so you can stream the music you love straight into the Subaru XV’s impressive sound system. Swipe, pinch, touch – all your entertainment is right at your fingertips. Rock your drive with a car fine tuned to entertain. The Subaru XV is ready for the good times. 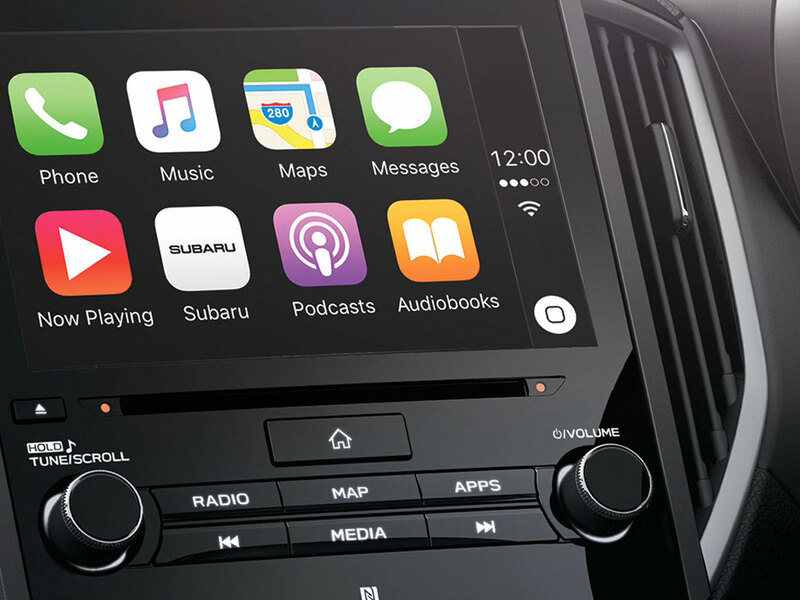 Apple CarPlay™ and Android Auto™ will have you spinning your favourite tunes and apps everywhere you go. 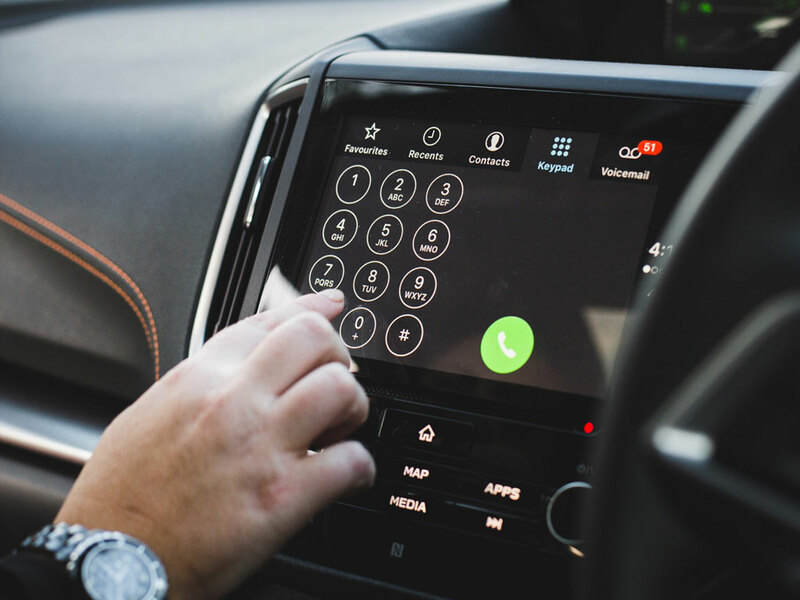 Apple CarPlay™ and Android Auto™ technology reads your text messages out loud, and even gives you weather updates, so you can focus on the scene around you. Cleverly, you can also bounce your smartphone’s mapping system to the XV's big screen whenever you like, helping you keep your eyes on the road and get you to your destination easily. Compatible Apple or Android device required. Enjoy seamless freedom with Bluetooth® wireless connectivity. Bluetooth® is a registered trademark of Bluetooth SIG Inc. System operation availability is subject to the Bluetooth® wireless technology specifications of individual’s phone. Satellite Navigation means you won’t have to worry about directions. You can also bounce your smartphone’s mapping system onto the big screen via Apple CarPlay™ and Android Auto™ . To lock in your directions, just hit voice command and say the magic words. Satellite Navigation will take you to your destination, the smartest way with live updates on faster routes and traffic hazards. Standard on 2.0i Premium and 2.0i-S.
Swipe through the 6.5”* or 8”* LCD touchscreen for larger, brighter entertainment on the road. The all-new XV will have a touchscreen you can touch, swipe and pinch, just like your smartphone. 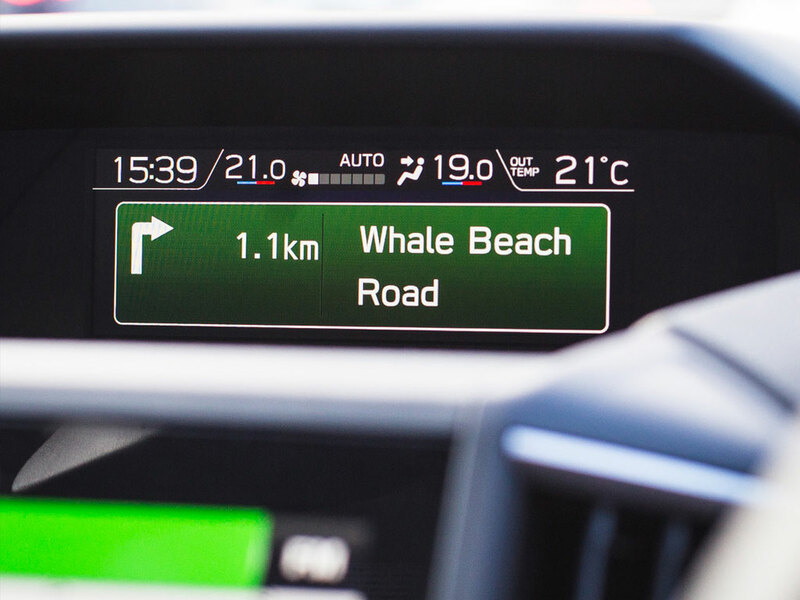 The 6.5” or 8" colour LCD screen puts your driving on display, translating useful vehicle information into entertaining, easy to understand graphics. You don’t get a 5 star ANCAP* safety rating for nothing. 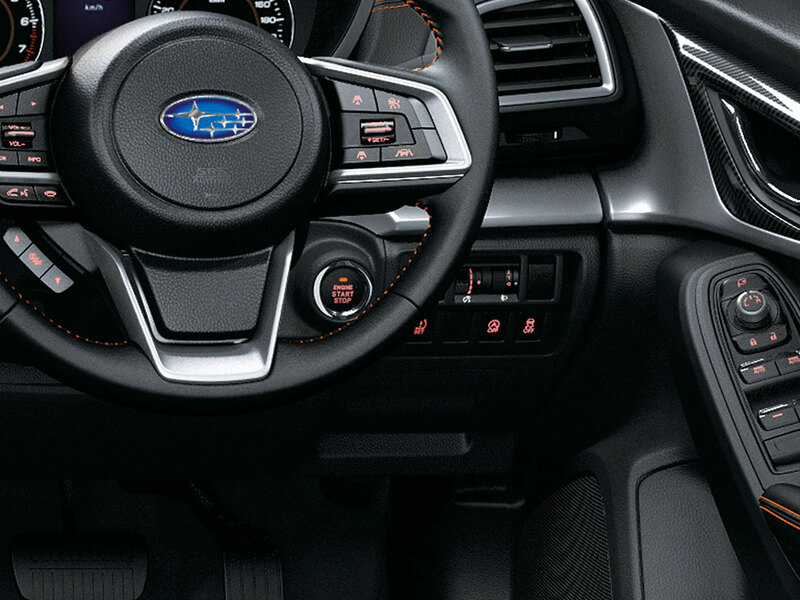 The Subaru XV delivers safety in spades with the latest and greatest tech features. 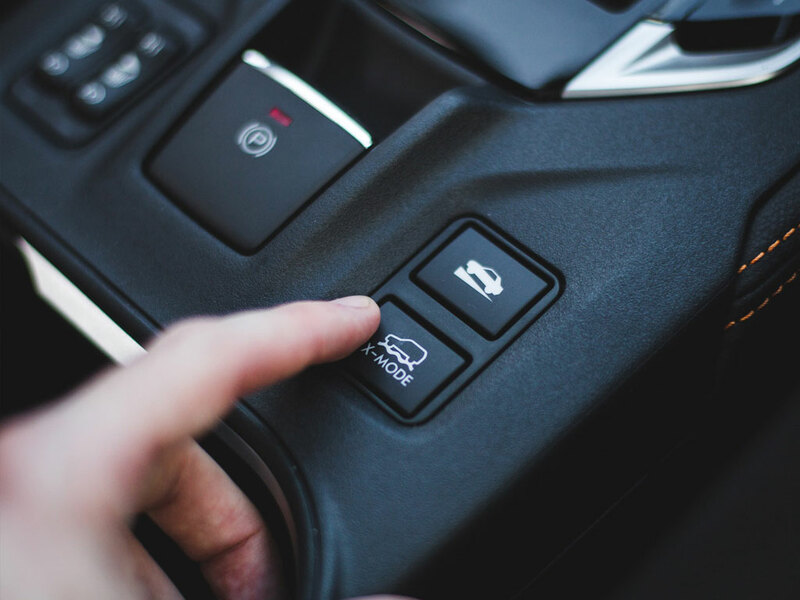 * The Australasian New Car Assessment Program (ANCAP) gives consumers consistent information on the level of occupant protection provided by vehicles in serious front and side crashes. Sudden stopping. Surprise roadworks and hairpin turns. Subaru XV is ready for extreme urban and off-road conditions with its electronic driver assist system, Vehicle Dynamics Control (VDC). Electronic Stability Control: Helps you gain control if you unexpectedly understeer or oversteer, by applying brakes, reducing engine power and distributing torque. Traction Control System: Helps you minimise your wheel slip by reducing engine power. Limited Slip Device: Helps you maintain control by transferring power from the wheels that slip to the wheels that grip. Anti-lock Braking System: Helps you stay in control by minimising stopping distance and maintaining vehicle control under brakes. Electronic Brake Force Distribution: Helps keep you safe by controlling the braking pressure to the front and rear wheels all the time. Brake Assist: Helps you in emergency situations by maximising stopping power. 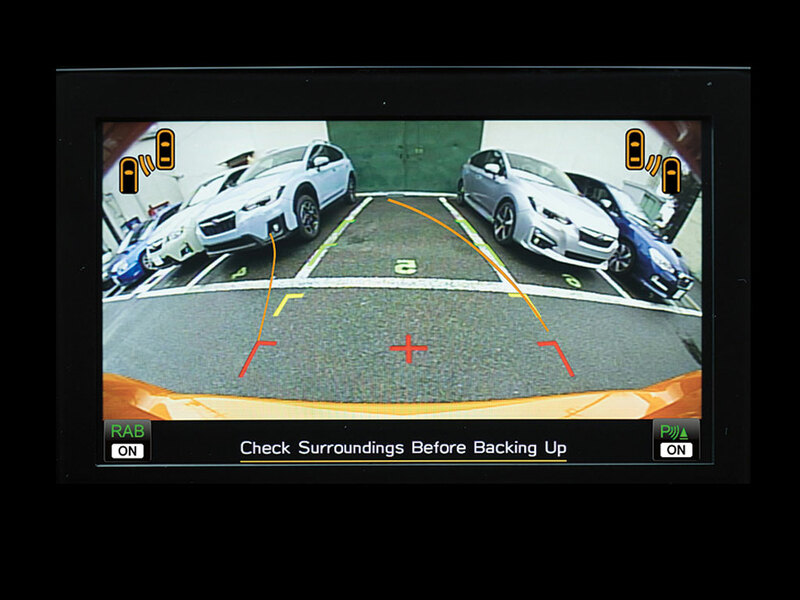 Thanks to a state-of-the-art rear -view reverse camera, you’ll have eyes in the back of your head guiding you safely into every parking spot. Manoeuvring back into a tight spot at a shopping centre? Driveway littered with hard-to-see things? Subaru XV makes reversing safer than ever before with improved technology available across the range. It’s like having eyes in the back of your head. The rear view reverse camera helps to greatly improve your visibility and reduce the risk of any bumps and scrapes, so you can get on with your day. You’ll never drive blind with Subaru’s Vision Assist*. It can let you know when something is in your blind spot, and even helps when changing lanes. If a vehicle is in your blind spot, a light symbol on your side mirror lights up – on either side of the car – to let you know. Or, if you’re changing lanes and a fast approaching vehicle is behind you, a light symbol will warn you of its presence. If you’re reversing and a vehicle drives past behind you, or if the system detects that vehicles are approaching from the side, Subaru's Vision Assist Rear Cross Traffic Alert will alert you that there is risk of a collision. Perfect for Saturday morning shopping. The all-new Subaru XV is built for blockbuster entertainment. Not only that, it delivers show-stopping value with more of the features you want as standard across the range. Enjoy Subaru’s legendary Symmetrical All-Wheel Drive for unprecedented grip on the roads. With the superior grip of the legendary Symmetrical All-Wheel Drive system, all-new Subaru XV is ready for any road, beach or rugged mountain ahead. It grips the road with all four wheels, all of the time, giving you double the traction capacity, greater precision and even more cornering power. 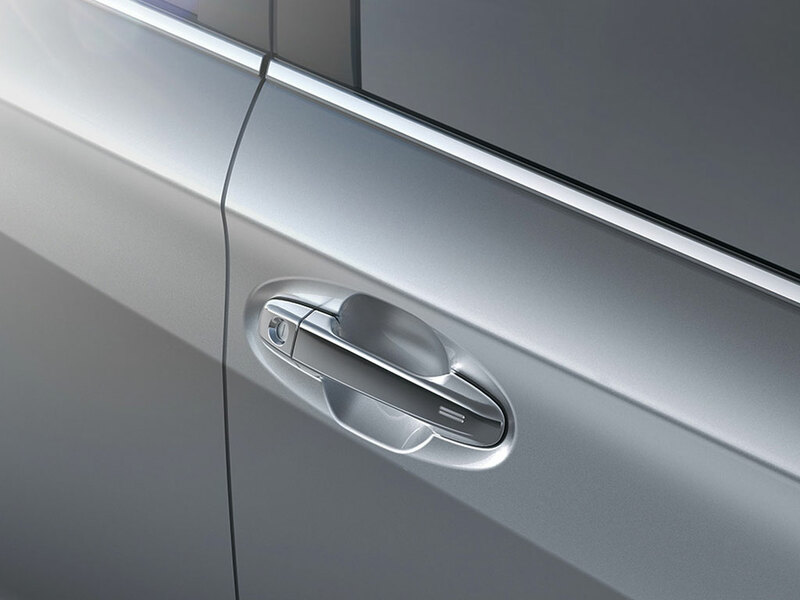 Unlock the car just by touching the door handle. From now on, you can keep your keys in your pocket. The new Subaru XV knows when you're nearby, unlocking the car when you touch the driver's door handle, or the boot button. So you can keep your keys in your pocket or your bag, and keep them free for putting the kids in the car, the shopping in the boot or your coffee in your hand. 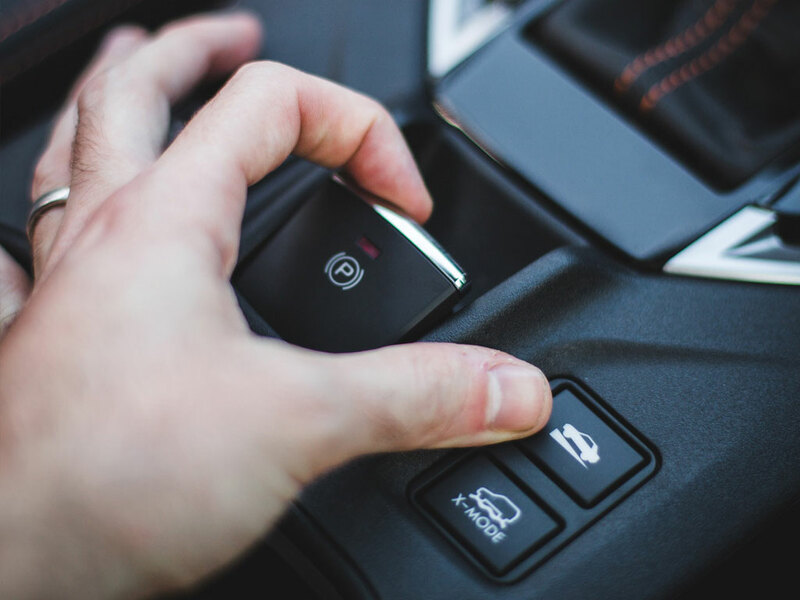 Car unlocks via touch of front door handles, or boot button only. No touch sensors on rear doors. 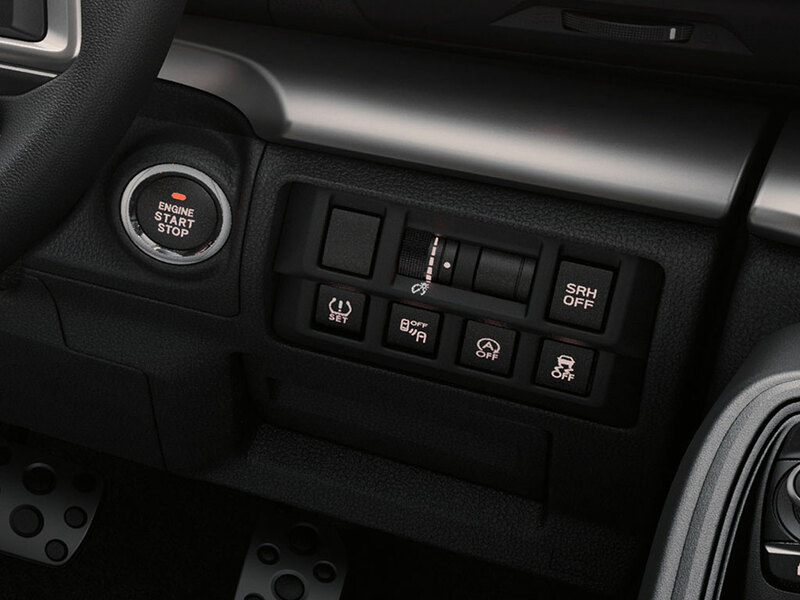 Flick a button to activate the new electronic parking brake. 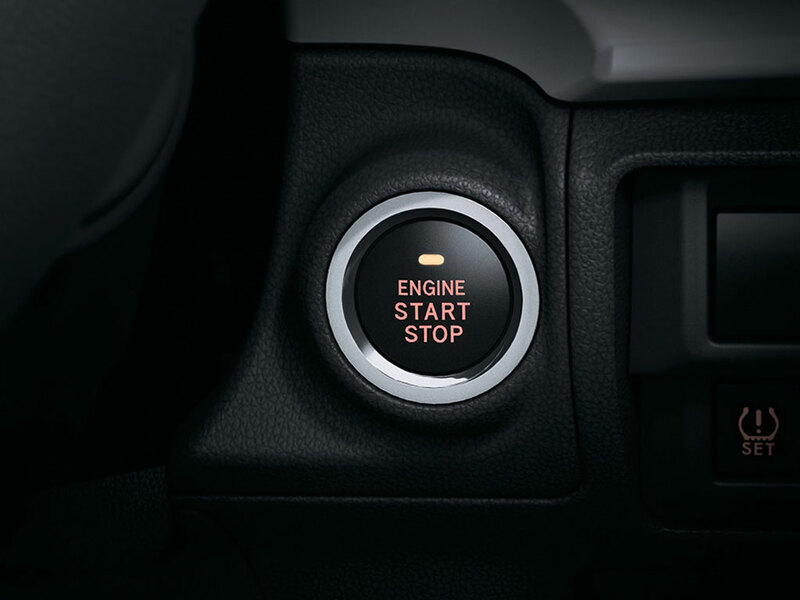 Auto Stop Start technology can save fuel by cutting the engine when you don’t need it. Streamlined to be lighter yet more powerful. Rigid yet more alive. Built on the all-new Subaru Global Platform, the all-new All-Wheel Drive Subaru XV is brilliant to the core. X-Mode enhances off-road driving with better control over components like the engine, All-Wheel Drive and specialised brakes. Introducing X-Mode on all-new XV. It improves drivability by providing better control over components like the engine, AWD, and brakes. For example, the Hill Descent Control feature, keeps the vehicle at a constant speed on steep slippery downhill surfaces. Thanks to brilliant scientific advances, you’ll get more power and efficiency from the all-new direct injection Boxer engine. 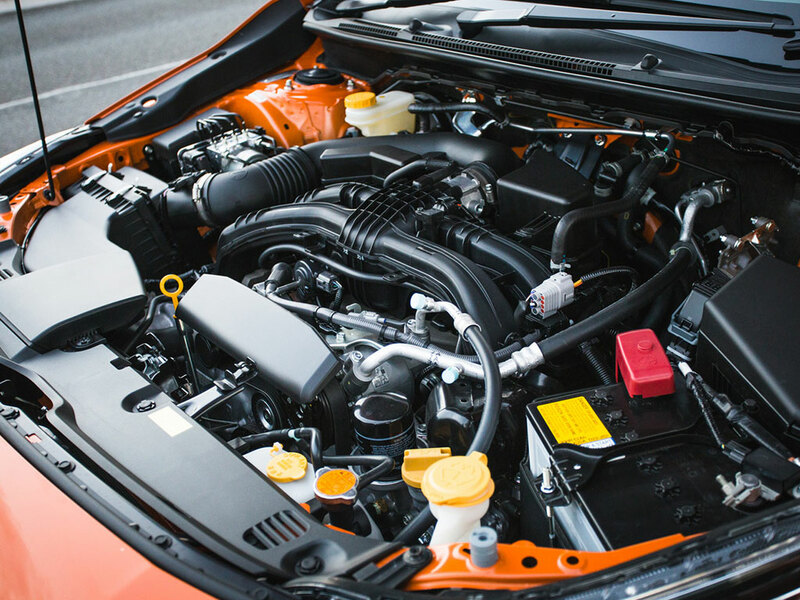 Designed for the pure enjoyment of driving, the horizontally-opposed direct injection Boxer engine has been finely tuned to deliver optimum power, torque, exhaust emissions, fuel economy and idling stability via Subaru’s Dual Active Valve Control System (DAVCS). It’s linear, efficient pleasure on the road, wherever it may take you. While its famed vice-like road grip makes every errand a joy ride. By using aluminium instead of steel for the hood, we’ve cut 5.2kg from the overall weight. Lighter. Safer. Streamlined for driving pleasure. Switch to manual mode for total control in the curves. Simply change gears using the steering wheel paddle gear shifters. The Subaru XV is made for adventure, from the city to the sea. All it requires is your style, your way. So pick your accessories to suit whatever it is you want to do. With the Subaru XV, there’s no holding back.